Over the past couple months I've watched a fair number of Korean films but few of them had much of an impact on me beyond their duration. This week I watch a little film called "Late Blossom" by Choo Chang-min, a film that reminded me of how emotive and beautiful Korean cinema can be. During the first half of this year I was keeping an eye on the Korean weekly box office. Each week I would do my write-up on it and this little film was always lingering in the charts. 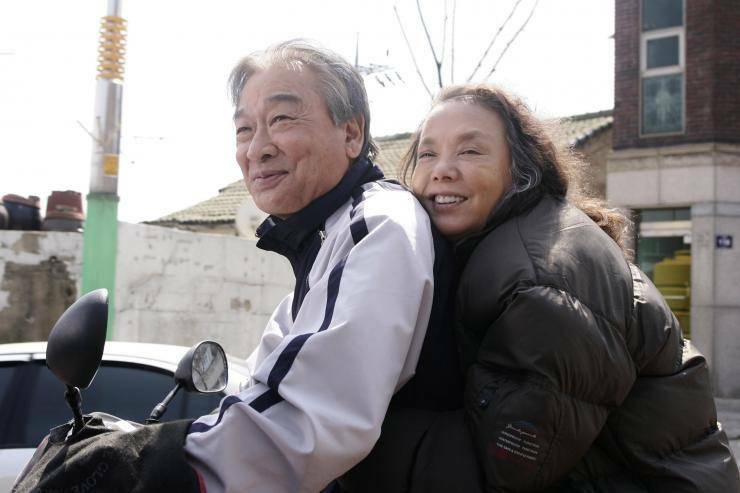 Out for a weekend and then back again, "Late Blossom" is endearing and clearly touched the Korean public as it did for me when I finally sat down and watched it. I knew roughly what I was in for, so far as the plot goes, but what I wasn't prepared for was everything else this fantastic piece had to say. 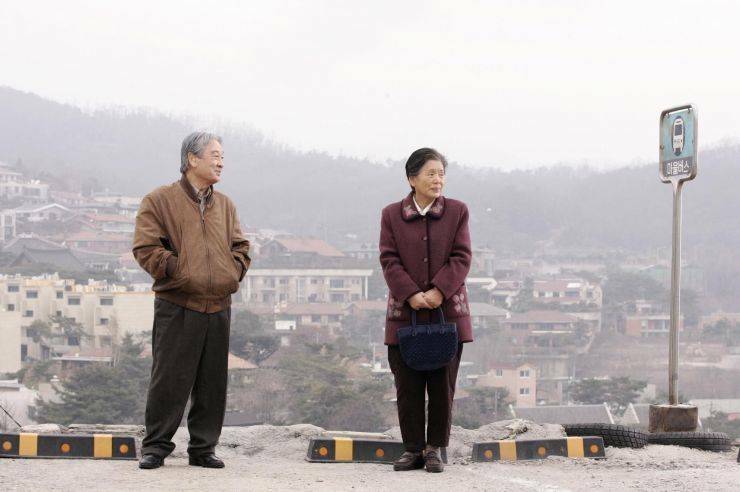 Choo Chang-min's tale follows four elder couples, each playing out the latter stages of their lives and all the joys and hardships that follow. Kim Man-seok (Lee Soon-jae) is a loud and aggressive milk deliveryman who forms a beautiful and clumsy relationship with a lost and nameless trash collector named Song (Yoon So-jung). Her soft nature and his gruff and forward manner are initially like oil and water, but as the story flows their relationship develops and grows into something we all would call love. Another story intersects with that of Man-soek and Song through the tragic tale of Jang Goon-bong (Song Jae-ho) and his wife (Kim Soo-mi). 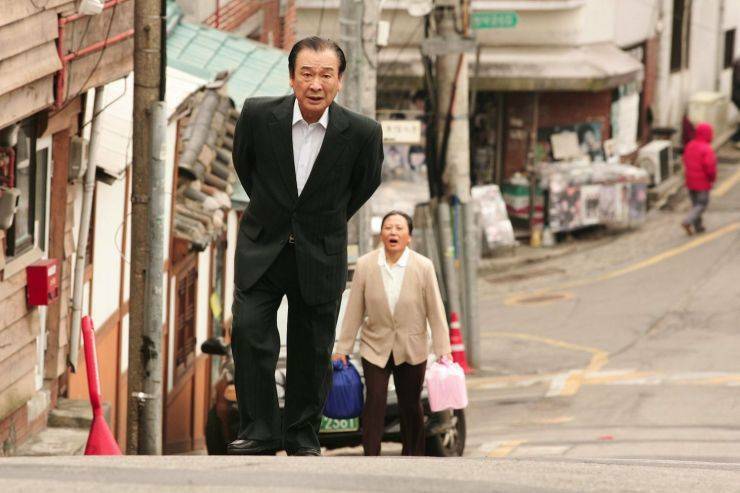 Goon–bong runs a small parking lot during the day while he tends to his wife and her struggle with Alzheimer's disease at night. A clever series of events leads all these characters to cross paths and in doing so they form a enduring bond of friendship and love. The film is one of moments. Each is scene is constructed with such care and thought as the film constantly pushes and pulls you between tragedy and hope. It is a character driven narrative and the moments between them are romantic, saddening, funny, relatable, and very overall very effective. Few moments in the film felt forced or false and with this kind of heart-touching film that is critical. I was almost waiting for the scene or moment that would take my out of the magic but, to my great satisfaction, that moment never came. The cinematography is also particularly noteworthy. The film starts in the winter and there is a sweet symmetry here between the soft winter snow and the lives we are about to engage ourselves in. The composition of some of the shots was very intriguing and allowed for reflection and thought when needed. 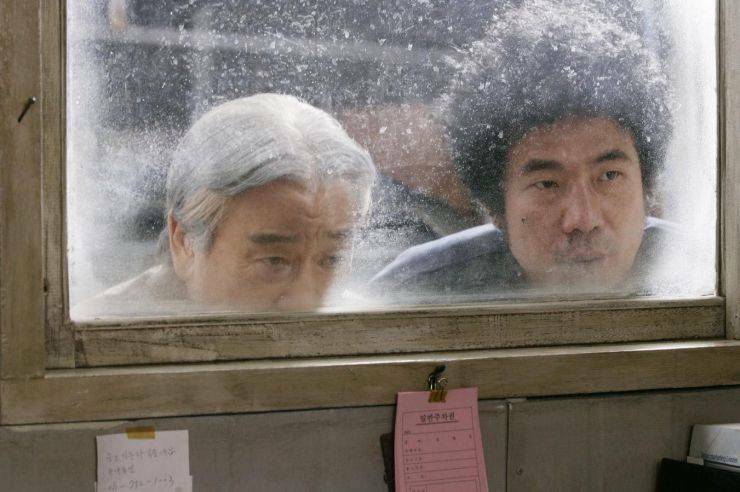 The film takes place in an unpolished and run down part of town, almost mirroring the character of these elders themselves. The roads and narrow, yet the film finds a new sense of space between the restrictions of the buildings that line the streets. The film largely achieves this by position the camera at low and high angles throughout the film. This use of high and low angles resonates with a lot of the films themes of love, family, and reflection. As the four elders struggle with their lives there is constant feeling of presences and timelessness that comes from watching over and looking up from events. It's a subtle and emotive technique that asks the viewer to reflect on the many touching moments that punctuate the story. Such a film would not be a success if the acting was flaky. Right from the film's opening scene I was convinced, engaged, and cared about the characters as their stories stormed my senses and invaded my heart. The actors were captivating and real and credit has to be given to all. 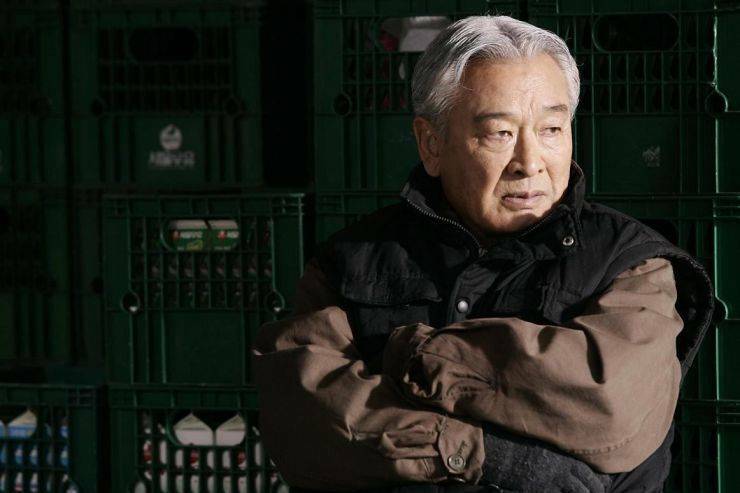 "Late Blossom" was one of my favourite films of 2011. It is skilfully crafted to deliver a punch to the heart without drowning you in teary sentiments. Its pace was right on the money and the camera work, paired with the cinematography and lighting, accented the film's contemplative tone to perfection. Updated cast for the upcoming Korean drama "Go! Mrs. Go!" Upcoming Korean drama "TV Novel Bok-hee"
Added trailer, stills and updated cast for the upcoming Korean drama "Drama Special - Ji-hoon's Born in 1982"